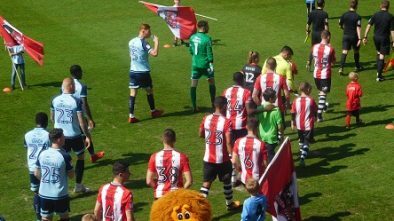 After waiting seven hours for a goal, five came along at once in City’s demolition of surprise bottom side Notts County, and so it is in confident mood that Matt Taylor’s side embarks on a trip to face yet another fancied side. 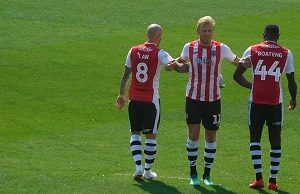 The key injury doubt remains Jonathan Forte, who was thought to be close to a return against his former employers but didn’t make it, and will be hoping another week off will render him fit to resume up front alongside five-goal Jayden Stockley. Otherwise it’s likely to be as you were, as Taylor is unlikely to shuffle his pack too much after last week’s win. Mansfield are, like in pretty much every season since they returned to the league, amongst the promotion favourites due to their heavy backing from their owner. Things haven’t quite worked out that way previously, however, and while David Flitcroft’s side are currently unbeaten, their four draws in six matches so far leave them languishing in mid-table. 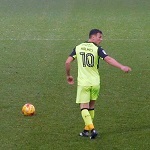 Flitcroft, like his predecessor Steve Evans, was given a healthy cheque book in the summer and he brought in the likes of Craig Davies, Otis Khan and the experienced Neal Bishop, while the key signing was probably the loan signing of Tyler (aka Son of Des) Walker from Nottingham Forest. Walker, who has plenty of Championship experience, already has six goals in all competitions to his name this season. Bobby Olejnik has been given the nod in goal ahead of Conrad Logan in recent games and will hope to keep his place against his former club. 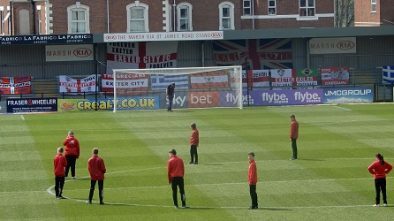 Mansfield had last week off due to international call-ups, so will either be very fresh or ring rusty from having not played since their 2-1 EFL Trophy win at Lincoln.